Recently in several news outlets, Delaware Technical & Community College President Mark Brainard shared encouraging news concerning the great strides the school is making in preparing Delaware’s students for manufacturing jobs in the future through the Pathways to Prosperity initiative. Dr. Brainard and his team are to be commended for their initiative and their execution on such an important program. That said, it bears mentioning that while students in Delaware are now better prepared for manufacturing jobs, our economy has not been able to produce sufficient quantities of manufacturing jobs to meet the needs of our students. A thriving Delaware demands a thriving manufacturing sector, and we will not create the conditions for that success without reforming our laws governing manufacturing. The Governor and his allies in the Legislature have drawn a line in the sand on an old concept: that people in manufacturing should be forced to join a union in order to have a job. This outdated idea is now standing in the way of progress in the First State. States like Indiana and Wisconsin have recently reformed their manufacturing laws to allow workers the freedom to work without being forced to join a union, and the jobs have followed. Indiana added 120,000 new jobs by 2014, and 50,000 of those workers chose to join a union. A recent report from the Rio Grande Foundation showed that between 2003 and 2013, private-sector employment in states that allow their citizens to work without forced unionism grew by 16.2 percent, nearly seven percentage points higher than states that did not reform their laws. Nine of the top 10 states in job growth had instituted these worker freedom laws. And 92 percent of so-called “border-crossing” jobs – where a company created jobs in a new state – went to states with worker freedom laws. Finally, 83 percent of jobs resulting from foreign direct investment (FDI) went to states with these worker freedom laws. It’s quite simple. 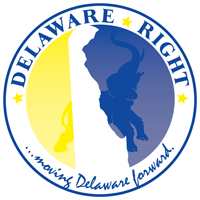 For Delaware to compete in the global economy, it is critical that we reform our laws to allow workers the right to employment without being forced to join a union. These reforms do not eliminate or outlaw unions. There are many instances where union activities take place in states with worker freedom laws. These reforms simply say that if you want to join a union, you can, and if you don’t want to, you can keep your job anyway. We should all be proud of the efforts of Dr. Brainard and his team at DTCC. And we should honor that work by creating the greatest number of manufacturing jobs possible. The easiest step is to pass a worker freedom law this year. I look forward to working with my colleagues in the legislature and with the Governor on these reforms. 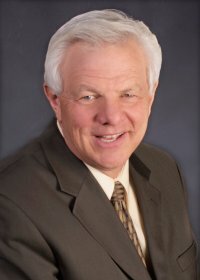 State Senator Gerald Hocker (R-Ocean View) represents the 20th District in the Delaware Senate. 15 Comments on "Creating Jobs For Our Students"
There have been numerous automobile manufacturing facilities built in the U.S. over the past few decades, and some of them in the past five years, like BMW and Mercedes. These facilities employ hundreds or even thousands of people, and they are good jobs with excellent benefits. And none were built in Delaware. There was a time when unions had a purpose other than being a fundraising arm for the Socialist-Democrats. So, Delaware, stick with the unions and manufacturers will stick with going elsewhere. As is common among morons, Mr. Hocker mistakenly assumes causality. All those German carmakers use union labor in Germany. Why are we patting Brainard on the back? The “Pathways” program is funded with tax payer money and state grant money, and after these students graduate, they are plugged into tax payer subsidized jobs. How is that sustainable? Here is a well known example of exactly what I’m talking about – the Bluewater Wind Project would have been subsidized by state and federal tax dollars as well as Delmarva Power customers – DelTech was “partnering” with the state and Bluewater Wind to offer a wind turbine technician course that would have also been subsidized by state and federal tax dollars. And every time there is one of these “initiatives” you can be sure there is a political crony standing behind the curtain waiting for their brand new 6 figure position to “oversee” the initiative. Meanwhile Brainard wants to tap into the county property tax for funding with DelTech doing all of the oversight and deciding when the rate needs to be raised. I say let DelTech keep coming to Legislative Hall every year to justify every penny they want. When Germany banned unions in May 1933, the results were not pretty. There is clearly causality. Businesses are overwhelmingly moving to states that have right-to-work laws. Significant foreign investment is moving to states with right-to-work laws. Markell couldn’t even get Volvo to call him back, even though we had an existing auto plant and the rail and port infrastructure, and highly-trained workers. They ended up with a billion-dollar investment in a RTW state. And some use union labor in right-to-work states in the US. But not all. The employee has freedom to choose. Not only that, but the unions in right-to-work states actually have to do a good job and earn the participation of their members. RTW even makes for better unions. He’s using Brainard’s actions to attack a policy that Brainard (along with every establishment Dem) supports. I thought it was pretty creative. You don’t see a lot of right-to-work pieces that are positive in nature. If it’s so obvious, you ought to be able to find evidence of it beyond your bloviating. Give it a try. You are illustrating my point. Those companies that do move — and they are vastly outnumbered by companies that don’t — have multiple reasons for it. Labor is cheaper in other places than it is in the South, so it isn’t simply whether the workforce is unionized. Indeed, VW wanted the workers at its Tennessee plant to unionize — and politicians got involved to work against it. H.L. Mencken: “To every complex problm, there is a solution that is simple, elegant, and wrong.” You nicely illustrate that one, too. True. But the South- and Delaware- are not in Germany. It is true that labor- and land- is cheaper in the South. This is why states like Delaware must offer incentives to manufacturers. It’s called competition. If politicians don’t want to compete, they shouldn’t whine when manufacurers build elsewhere. It is just modern reality. Okay, Geezer. But first I’ll stop by the GM plant and the Chrysler plant and ask those auto workers how they’re doing. Of course, the decimation of manufacturing in Delaware can’t count as evidence either in your neat little world. I mean, I could entertain you if the number weren’t so lopsided, but when the numbers cited are all north of 80%, and Jack Markell’s phone still isn’t ringing, I’ll let them speak for themselves. What would a college president or a grocer know about what a manufacturing worker needs or wants? Funny how it’s always the suit and tie crowd who push these “worker freedom” schemes, not workers who are affected by them. What would a community organizer know about being a chief executive? It’s also funny how “liberals” are stuck in the 19th Century. Every year, the UAW comes crawling to the non-union auto plants, begging the workers to save themselves by voting to join the union, and every year they are rejected. Union fat cats are interested only in perpetuating their lavish lifestyle and funding the Socialist-Democrats. They are a useless anachronism from a bygone era. Yeah, trump said you unskilled talk radio republicans make too much money. Can’t have low skilled people joining unions and wanting a living wage when there’s CEO’s and stock holders to pay.. I leave near Hockers. This from a guy who hires Russian kids every summer instead of local. Practice what you preach, hypocrit.